Fangirl is a young adult fiction novel exploring friendship, fiction, family and relationships, and how a teenager should manage all of that whilst surviving their first year in college. We meet Cath Avery, college freshman and Simon Snow fanatic. She loves all the books in the series and his storylines and she has been writing Simon Snow fan fiction for years. In fact, her fan fiction Carry On is so popular that each chapter gets thousands of views. And Cath is most excited for the final novel in the Simon Snow series that’s being published in a few months’ time. But she wants to make sure she finishes her fan fiction before that book comes out so it doesn’t spoil the storyline for her. Now that Cath is in college, she’s finding it hard to manage everything. She’s completely out of her comfort zone. Her twin sister, Wren, who used to immerse herself in the Simon Snow series, is off living her life in college at parties and bars. Meanwhile Cath is shutting herself in her room and writing, and she’s starting to feel like maybe she’s missing out on something. But on the other hand, writing fan fiction is all she’s ever been interested in doing. Even in her fiction class, she hands in fan fiction for her assignments. Fangirl is for all those introverted readers who feel like they should be more sociable, but really don’t want to be. It’s for all the quiet achievers who would rather alone time than party time. Cath may be in her own little world most of the time, and Fangirl shows us that it’s fine to be like that, but it’s also okay to let people in. Cath learns that she can have the best of both worlds – her fan fiction AND her relationship/family/friends. You don’t have to sacrifice anything, you just have to manage your time well and give time to everything. If she didn’t work on her fic, at least a little bit, every day, Cath lost the thread of it, the momentum. She ended up writing long, go-nowhere conversations – or scenes where Baz and Simon memorised the planes in each other’s faces. There are some heartbreaking elements to the book as well. Cath and Wren’s mother left them when they were kids and their father never recovered. He devoted himself to his work and his mind slowly deteriorated. Cath feels like she should help take care of her dad because no one else will. And then, suddenly, Cath’s mother comes back into the picture and wants to be a part of their life again. Wren is thrilled, but Cath wants nothing to do with her. 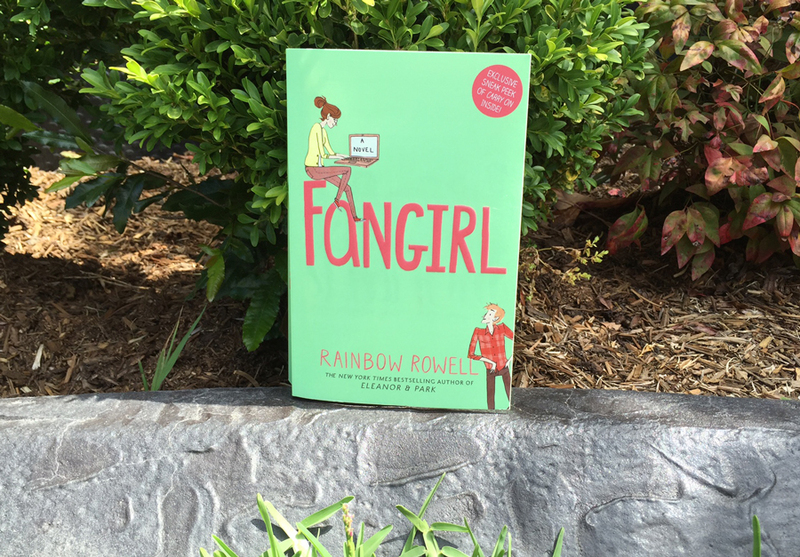 Fangirl is warm-hearted, touching and incredibly moving. It’s beautifully written and Rainbow has crafted characters that are relatable and they really carry the story. It may be a few hundred pages, but Fangirl is an easy read. It really tugs on the heartstrings, exploring that time in a teenager’s life where it may be ready to let go of childhood fears and leap into the unknown.